Hello! The Stories Of You Podcast is all entered in the Australian Podcast Awards for 2018! But WE (well I) need your help! Would you mind voting for the show in the Popular Vote category? It closes April 1 – voting only takes a few minutes. Geoff’s story of personal challenges, resilience and his passion to guide others makes for an engaging story. The show website is: http://storiesofyoupodcast.com if you’d like to say hi! But this is the website. So you probably don’t need to click on that link. Canadian singer/songwriter Harry Manx is the focus of episode 7 of the Stories Of You Podcast. He discusses his music – blues with an Indian flavour. Or maybe that’s Indian with a blues flavour. Harry spent 12 years in India learning the Mohan Veena, a 20 string slide guitar. He has merged the western sounds of the blues with Indian music, hear about his experiences and his personal journey. You can find out more about Harry Manx at his website. Hope you enjoy the conversation! And thanks so much for listening to the show. David Francey was born in Scotland but grew up in Canada with his family. He worked as a construction worker for about 20 years and eventually took a trip down the path less travelled and became a folk singer/songwriter. Hear his story on this episode of the Stories Of You Podcast. Broken Glass – from the Skating Rink album and the Ballad Of Bowser MacRae which is on the Right Of Passage album. Thanks also to Melbourne community radio station 3RRR – this interview was originally aired on the station and they have given me permission to feature it on this podcast. Hope you enjoy the episode. As always, please feel free to get in touch and say hi. We have a new voicemail feature on our website where you can record voicemail messages from your computer or mobile device. Until the next episode… take care! Sibling duo Carrie & Chris Ewin are out to help senior citizens learn to use technology. From PCs to iPads and everything inbetween. Hear their stories and journey as we go inside a computer users group in the south eastern Melbourne suburb of Chelsea. Music on this episode was by the great Kevin Macleod. You can find his website here. If you enjoy this episode, please give us a rating and review on iTunes and / or Stitcher. Simran Kaur is a well qualified Social Worker from India. Her moving personal account of the trials faced growing up and being educated in India with low vision are inspirational. Share in Simran’s confronting difficulties in migrating to Australia; her struggle for permanent residency under Australia’s current discriminatory immigration system for people with disabilities. This compelling episode highlights the inequity in our migration legislation whereby a person such as Simran is considered a potential liability rather than allowing an applicant to demonstrate their merits and the potential benefits they could bring to our country. 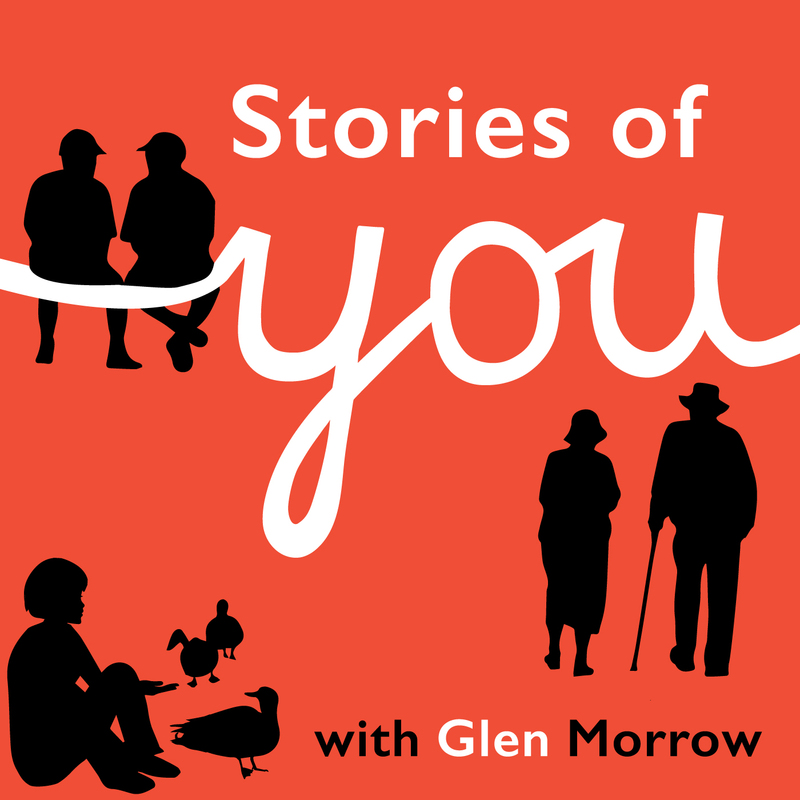 I hope you enjoy this episode of the Stories Of You Podcast. You can now find the show on iTunes and Stiticher. Tim Hulsman is a self taught singer/songwriter with a unique perspective on life. His honest reflections upon his experiences are both personable and gripping. Tim’s strict religious upbringing, the rejection of his family’s ideal that he should dedicate his career and life to the church and ultimately the rejection of his faith has had a strong and lasting impact upon his life and music. Tim’s account of his experience during the 2004 Boxing Day tsunami is a powerful story of survival and resiliance. The cathartic influence of music on his own ability to recover from the trauma of the event and help the communities to recover and rebuild is a moving story and well worth a listen. The Geoscience Australia report about the 2004 Boxing Day Tsunami mentioned in the show is available here. Connect with the show via Facebook and Twitter. Send a recording to say hi! I might feature these on upcoming shows. You can just record a message on your phone/tablet or computer and send it using the widget below. This page is a work in progress. That means it's permanently 'under construction'.